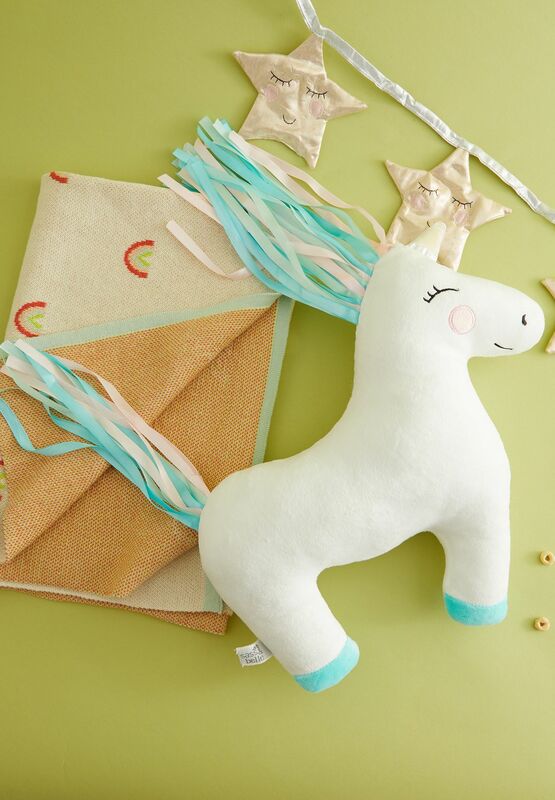 Ride off into the land of nod with this cozy Unicorn cushion, Betty. 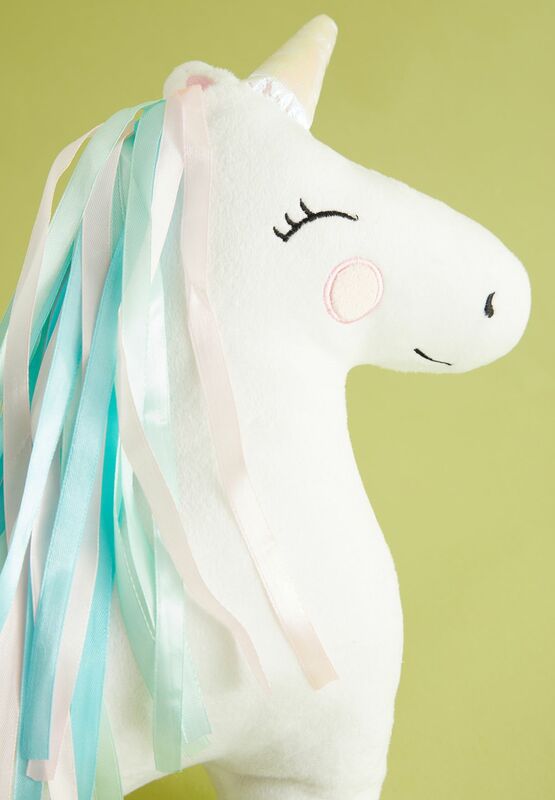 This smiling unicorn is pure white with pops of fun, pastel blues and pinks for a fun and on-trend accessory. 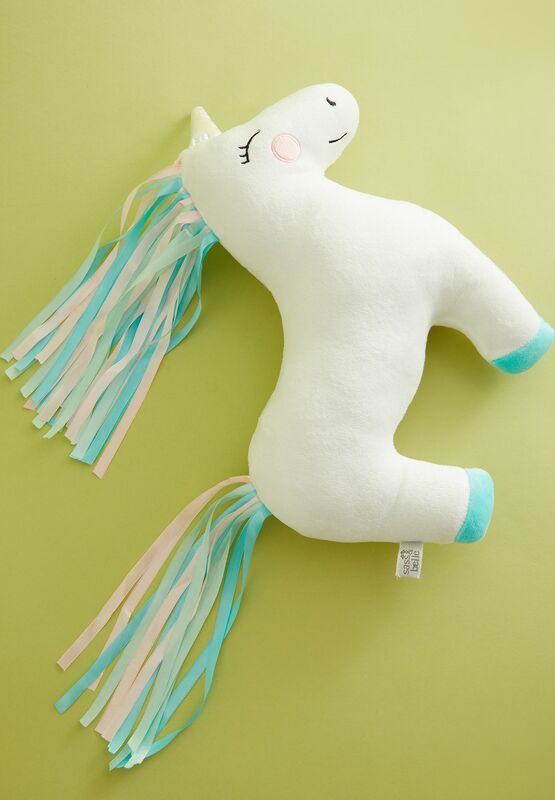 Betty's magic is powered by cuddles, so keep her on your sofa or bed at all times for frequent snuggle sessions!